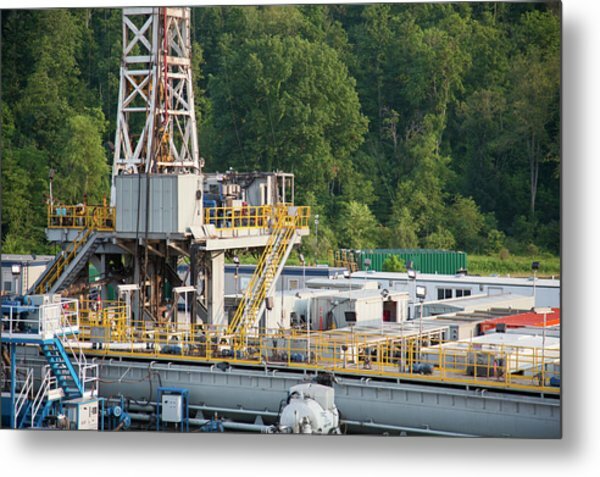 Fracking Drill Rig is a photograph by Jim West which was uploaded on July 24th, 2016. 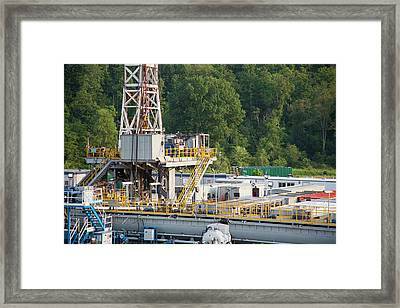 Fracking drill rig. 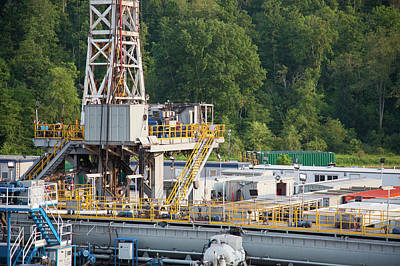 This drilling technique is used to extract gas from shale deposits. 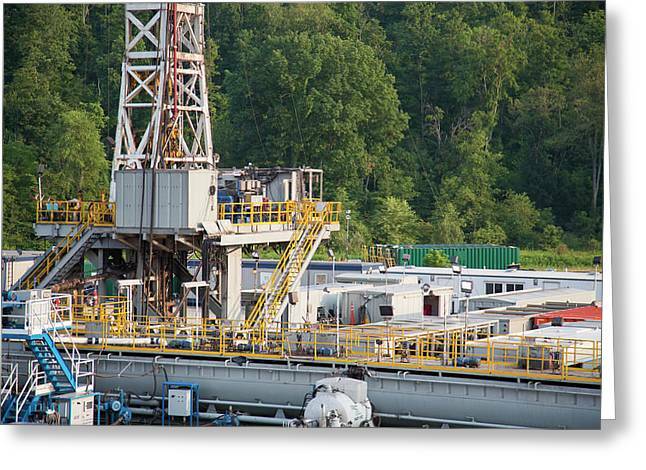 A mixture of sand, chemicals and water is pumped under high pressure from the surface to underground horizontal wells. The pressure forms fissures (fractures) in the shale. The sand keeps the fissures open, allowing gas to flow into the well and rise to the surface. 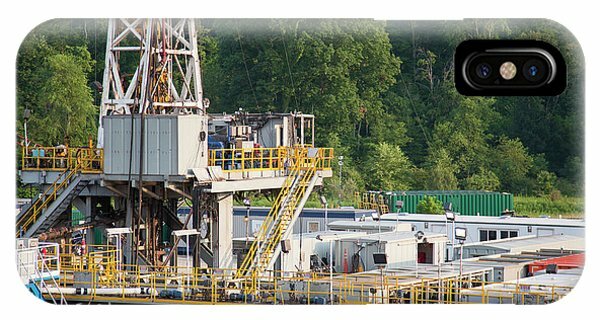 The main drill rig is used to drill a well prior to the hydraulic fracturing process. 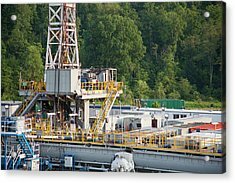 Fracking can cause small earthquakes (microseismic events), and there are concerns about effects on water tables. 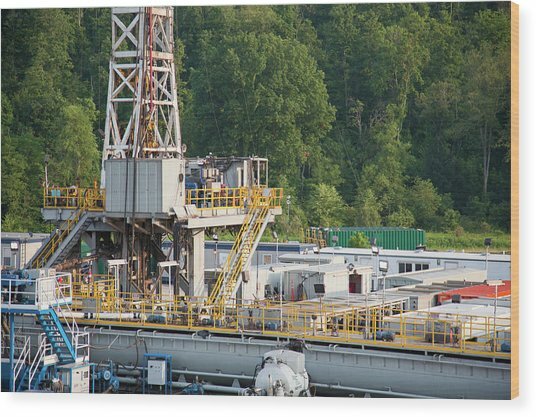 This is a Pioneer Drilling Company site in July 2014, near Ruff Creek, Pennsylvania, USA. 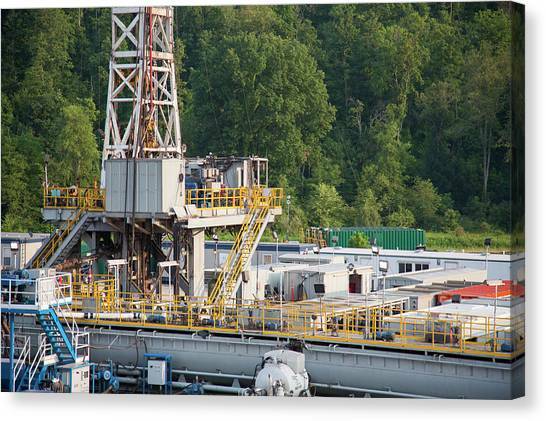 There are no comments for Fracking Drill Rig. Click here to post the first comment.